How many times have you heard the saying "Men Are From Mars and Women Are From Venus"? Translated this statement explores how men and women differ in certain areas of life. One difference is how each react to stress. The major factor that accounts for the difference is hormones; cortisol, epinephrine and oxytocin being the main players. During stress these hormones raise the blood pressure, lower circulating blood sugar levels and lower the effectiveness of the immune system.Though both women and men have these hormones their body's responses are different. According to an article in the Time Magazine stress is a catalyst for mindless eating and unfortunately in women, burning fewer calories. 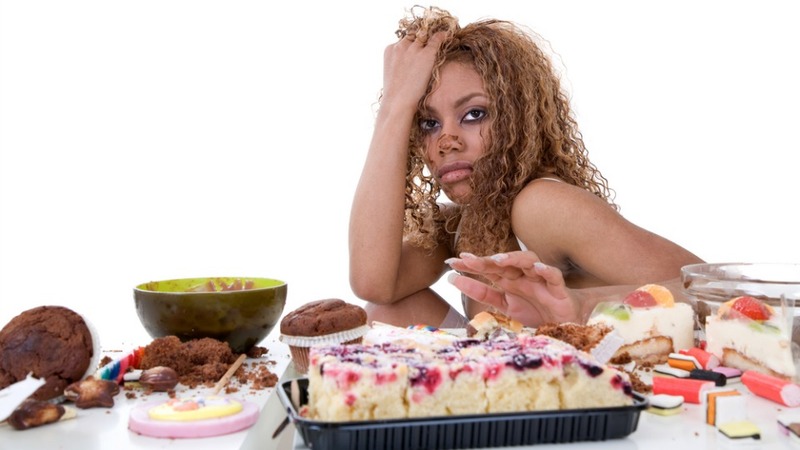 When stressed women tend to reach for high fat/high sugar/high caloric foods. Perhaps you've been there...eating out the 1/2 gallon container of ice cream or consuming the whole bag of family sized potato chips. This can translate to an additional 11 extra pounds per year just due to stress. Knowing what you are doing and why, along with the impact it has on your health is half your battle. To win you need to learn strategies to change those things which are not beneficial. One strategy is mindful eating. Mindful eating is more than just slowing down how fast you eat...it is learning to eat with intention.